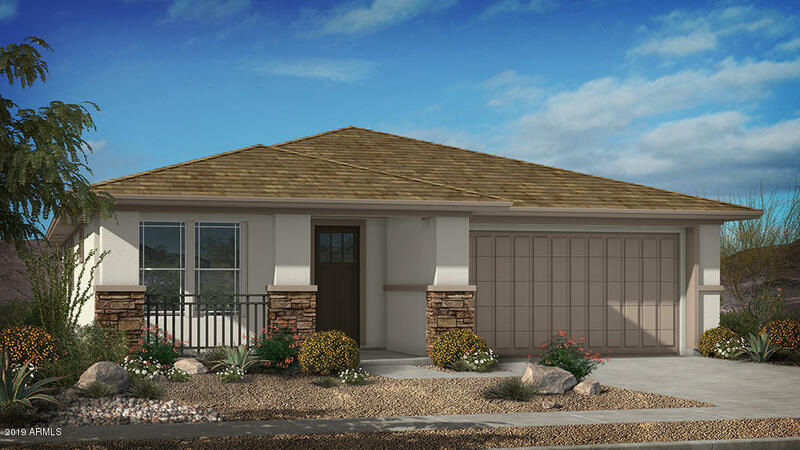 All Eastmark Endeavor Collect homes currently listed for sale in Mesa as of 04/22/2019 are shown below. You can change the search criteria at any time by pressing the 'Change Search' button below. "New home ready May 2019! Beautiful new home features include: Granite, stainless steel gas appliances, Wood plank tile throughout and upgraded carpet in bedrooms, 42'' white maple cabinets, brushed nickel faucets and accessories, Stainless Steel under mount sink, multi slide door to go back patio, 8' interior doors, North/South exposure, two tone interior light gray French gray, no back neighbors! Exterior Prairie elevation with stone to match and a beautiful front porch for morning coffee."